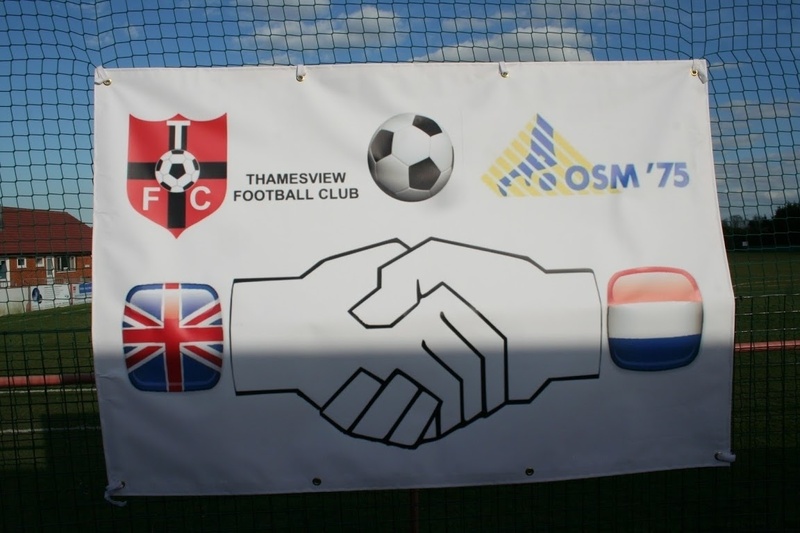 2017 sees Thamesview visit our great friends in Holland, OSM75 in the 31st tournament between the 2 clubs. Last year saw OSM visit Gillingham and after a 6 year wait, Thamesview finally brought the Trophy home so this year we expect OSM to be at their best to regain the Cup. This Easter, 3 teams will be travelling to Holland, our 2 Under 12's teams plus the Under 14's. In addition many parents will be on the trip to also enjoy the massive friendship this event brings. Chris Morris, TFC Vice-Chairman, is the lead organiser with Dan Humphreys, TFC Development & Coaching Officer. The trip starts this year on Friday April 14th with an early start to the journey to Utrecht. A lunchtime arrival is expected with OSM hosting a welcome BBQ in the afternoon. At the end of the day, the players will go off home with their respective hosts whilst the parents will go back to their hotel. Sunday 16th brings the tournament into focus at OSM's magnificent facility in Maarsen. With friendly rivalries and the chance to play other Dutch teams, this is always a fun challenge for all the players involved culminating with the TFC/OSM cup being awarded to the top Club between OSM & TFC based on their direct results. Regardless of the outcome, a big party is then held in the evening for everyone to celebrate the weekend and to really seal the visit with much respect for each others' cultures, company and friendship. The last day is always sad as Thamesview depart from Holland on Monday 17th April as goodbyes and farewells are made before the long journey home.